After watching The Chilling Adventures Of Sabrina we’ve all become absolutely obsessed with Sabrina Spellman and Harvey Kinkle’s relationship. Seeing their bond strengthen throughout the show, we couldn’t help but fall madly in love with the two. And Kiernan Shipka just revealed that she ships Sabrina and Harvey just as hard as we do! We are so glad she gets it! As for her real life, Kiernan revealed that she’s way too busy to think about dating. The actress also dished on how much she absolutely loved being a part of the show and playing such a strong female character. And Sabrina totally inspired the 19-year-old. 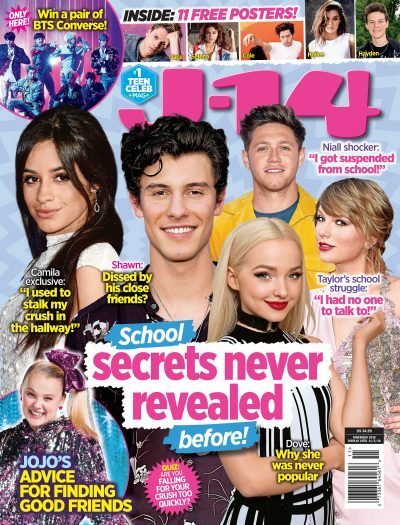 As J-14 readers know the season ended with Sabrina and Harvey going their separate ways after Sabrina was forced to leave her boyfriend in order to protect him. We’re praying that they get back together in Season 2, which is coming soon!